Andre’s Cucina & Catering Co. should be your first thought for a wedding caterer in South Australia. We’ll work with you to create a menu that reflects your tastes, suits your venue and fits within your budget. Our sit down shared feast is inspired by our restaurant - which made our name. 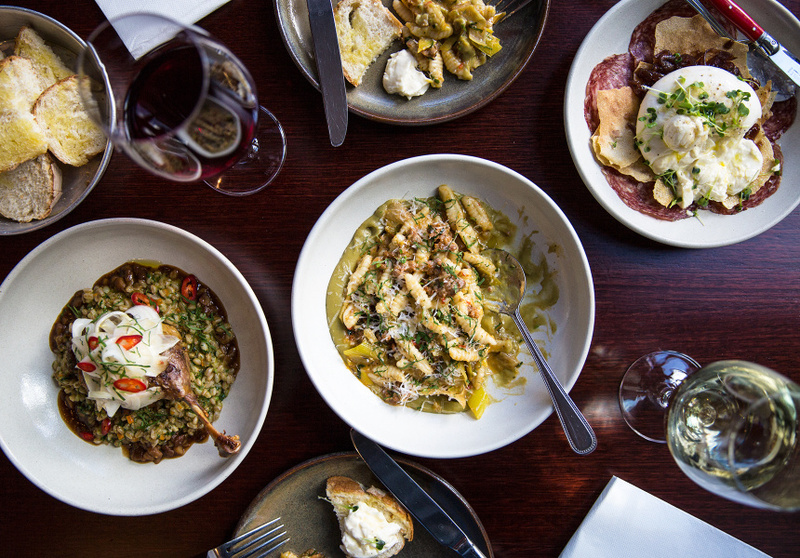 Moorish, thoughtful, authentic Italian cuisine with a special twist. If you're looking for a more relaxed affair without compromising on quality our buffet selection is your answer! Your selection may including platters of antipasto, fresh handmade pasta, steaming boards of hot polenta, slow braised lamb and fresh seasonal salads. Out stand up roving meal provides guests and extensive culinary experience equivalent to a three course meal. Served in bamboo boats with bamboo cutlery, this style eliminates the need to hire crockery. Do you have another style in mind? We love hearing your ideas and working with you to make your wedding day unique. We supply a range of catering equipment for hire, so speak to us about supplying everything you need when it comes to wedding catering. We have crockery and glassware for hire, plus catering cooking equipment and much more.